NOTES: Lindholm has a goal and four assists in his last three games. . Chicago D Erik Gustafsson was a healthy scratch for the first time this season. 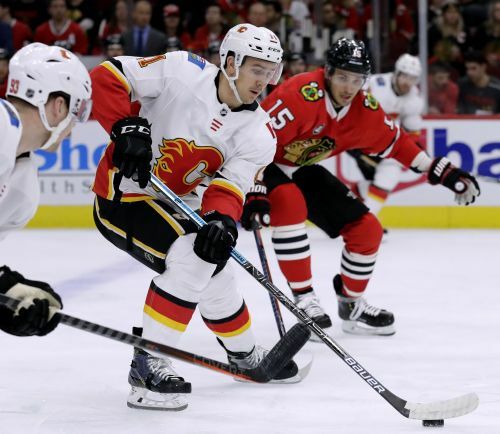 Also sitting out for Chicago were C John Hayden and LW Andreas Martinsen. . Calgary D Juuso Valimaki (lower body) missed his third game and F Michael Frolik (lower body) and D Michael Stone (on IR, blood clot in arm) each missed their fifth. Flames: At Columbus on Tuesday. Blackhawks: At Anaheim on Wednesday.